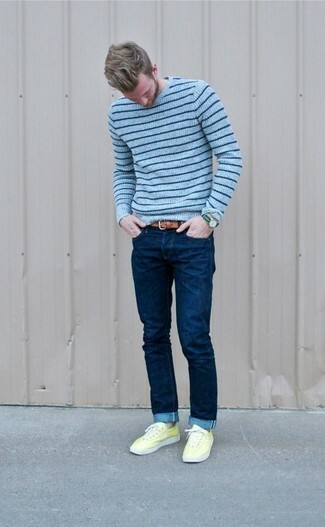 If you're all about relaxed dressing when it comes to fashion, you'll love this on-trend pairing of a light blue horizontal striped crew-neck sweater and navy skinny jeans. 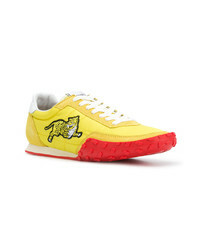 You could perhaps get a little creative in the footwear department and elevate your outfit with yellow low top sneakers. If you're in search of a casual yet seriously stylish outfit, consider teaming a navy crew-neck t-shirt with black chinos. Both pieces are totally comfortable and will look great paired together. 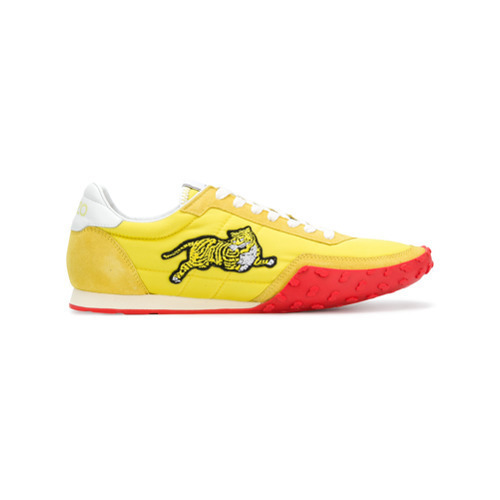 Complement your outfit with Kenzo move sneakers from farfetch.com. 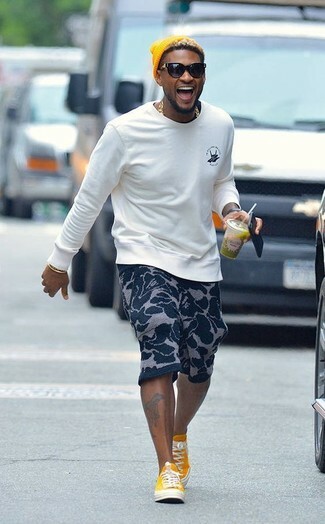 If you're searching for a casual yet on-trend look, reach for a white sweatshirt and navy floral shorts. Both items are totally comfortable and will look great paired together. When it comes to shoes, this getup pairs nicely with yellow low top sneakers. 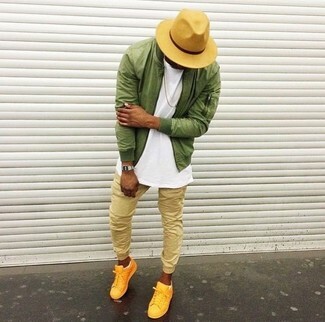 This combo of an olive bomber jacket and tan sweatpants is simple, sharp and so easy to replicate. Complement this outfit with Kenzo move sneakers. 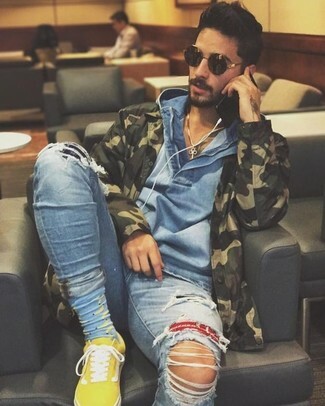 If you're a fan of comfort dressing when it comes to your personal style, you'll love this simple pairing of an olive camouflage military jacket and light blue ripped skinny jeans. 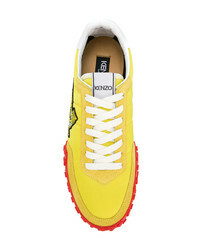 Up the ante of your look with Kenzo move sneakers from farfetch.com. 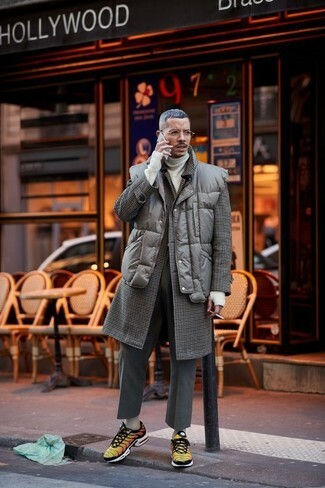 Consider wearing a dark brown check overcoat and charcoal wool dress pants like a true gent. 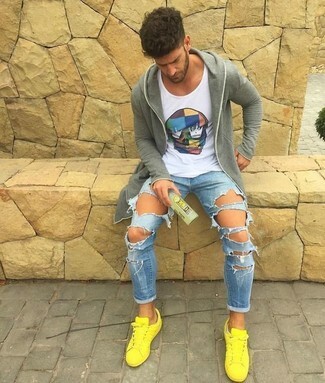 Opt for a pair of yellow low top sneakers for a more relaxed feel. 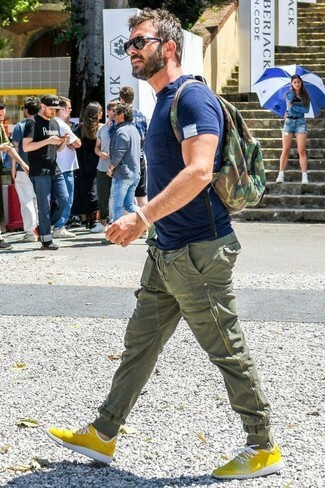 So as you can see, looking stylish doesn't take that much time. 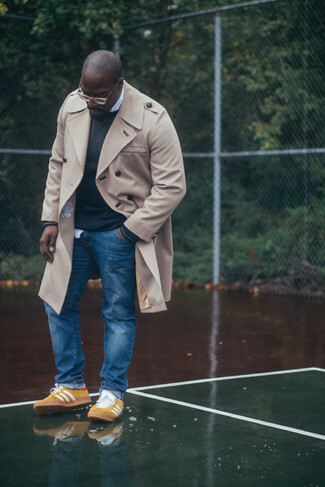 Just rock a beige trenchcoat with blue jeans and you'll look incredibly stylish. Choose a pair of Kenzo move sneakers to make the look current. If you're all about practicality dressing when it comes to your personal style, you'll love this easy combo of a grey hoodie and light blue ripped skinny jeans. 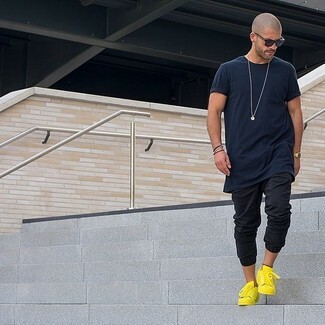 Go for a pair of yellow low top sneakers to kick things up to the next level. This combo of a navy crew-neck t-shirt and olive chinos is a safe go-to for an effortlessly dapper outfit. 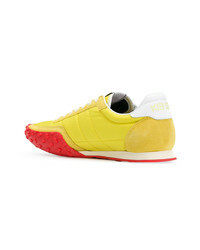 If not sure as to the footwear, stick to a pair of Kenzo Move Sneakers.